Some where’s in true internetz folklore fashion... 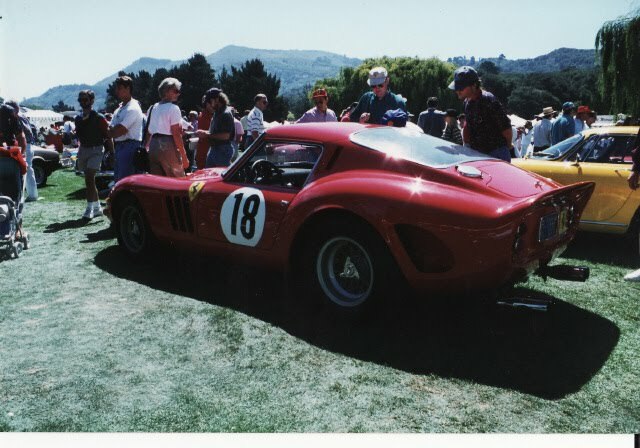 I thought I read that Pink Floyd percussionist Nick Mason had shelled out $12m in order to obtain one of the very rare Ferrari 250GTO’s... Of which I know very little ‘bout this most magnificent automobile. Although I’ve now read that only 39 examples were produced between 1962-64, with the bulk being built between 1962-63 when a total of 36 “Series I” examples were constructed. While a further three “Series II” chassis were produced afterwards, with a further few original spec chassis being upgraded to the latter version in ’64. Ultra-rare 1963 Ferrari 250 GTO up for sale by RM Auctions... will it set a record? Meanwhile, today – exactly forty-five years ago... Another American legend named Craig Breedlove gave the Cobra Daytona Coupe its last moments of glory, by setting some 23 International speed records behind the wheel of CSX2287 - before the six Daytona Coupes were sold off piecemeal at bargain basement prices... As little did Shelby know they’d become so extremely desirable some 30-40-50 years later... (Have you tried buying a “REAL” Shelby Daytona Coupe lately?) As CSX2287 probably has the strangest past of the six Daytona Coupes... With perhaps the most important pedigree, as not only was it the original Prototype chassis, but the only one produced in America. Yet after the car changed hands a few times; reputedly being “Dumped” by thee Phil Spectre over fears of his incurring too many speeding tickets when he used it as a ‘Daily Driver in Hollywood... It mysteriously vanished for two decades before finally being unearthed after the reclusive female owner committed suicide! Thus, as you’re Humble Scribe frequently mentions; as Time Flies By! 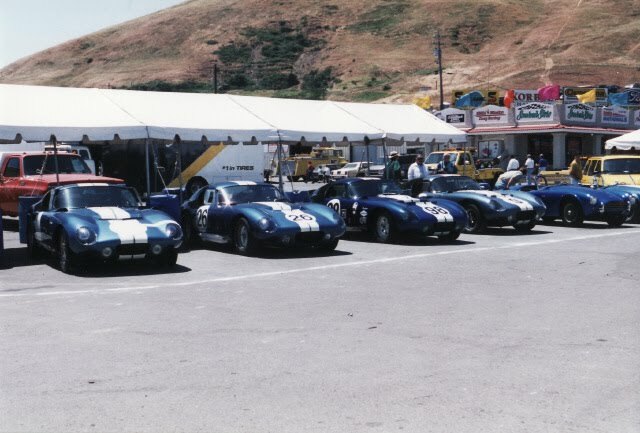 Its hard to fathom that its already been a decade and a half since I attended the Cobra Daytona Coupes 30th Anniversary celebration as the featured marque at the 1995 Mollie Stones Historics in sleepy ‘Ol Sonoma, CA, which some out ‘Dar in BloggerLand like to call Snorhoma... As I had the good fortunes of seeing four of the six Daytona Coupes on static display and still have two vivid memories of said event. The first was witnessing ‘Bondo replete in his original Cobra Team Jacket signing an autograph for ‘Juan of the masses atop the roof of one of these priceless relics... While the most searing memory of that event was the Oh So Delectable Soundtrack of Messer bondurant doing a few solo demonstration laps behind the keyboard of one of these vintage beasts! As ‘Bondo serenely toured the Wine Country Classic during lunchtime with NOBODY else Ontrack and it was sheer ecstasy listening to the booming 289cid small block V-8 lump resonate over the Sears Point Raceway grounds! You can read all about these magnificent Cobra’s in the Great Cobra Daytona Coupes (523pages) book penned by the Car’s designer Peter Brock; click here.